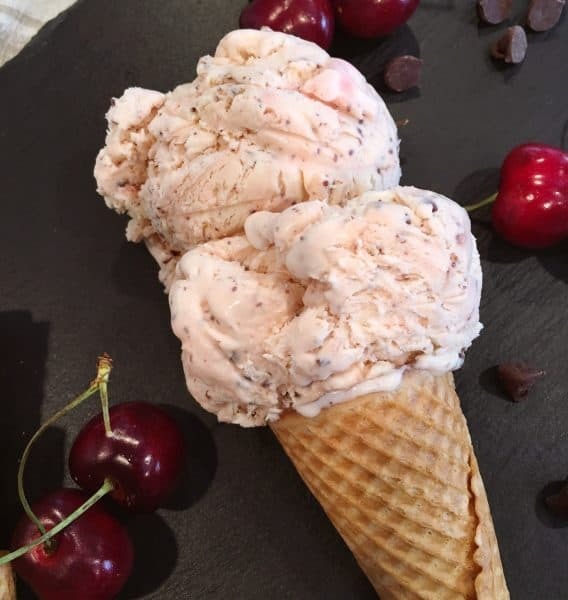 Cherry Chocolate Chip No-Churn Ice Cream is rich, creamy and delicious! Bonus Points? It’s SO EASY to make and you don’t need an ice cream maker to make it! 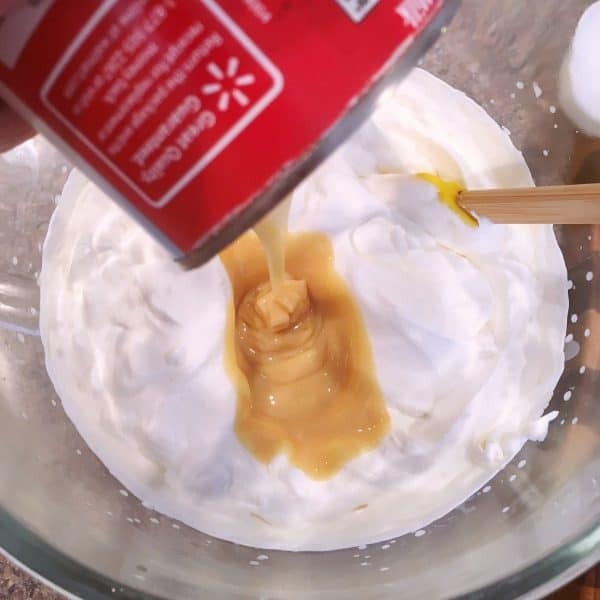 All you need is 2 cups of whipping cream, 1 small can of sweetened condensed milk, flavor extract, and the mix-ins you want! For me it was fresh cherries and semi-sweet chocolate chips! Summer just got a lot more scrumptious my friends! Because I’m a life long member of I.C.L.A. (Ice Cream Lovers Anonymous) this “No-Churn Ice Cream” was going to have to really impress me! I’m happy to report…it more than impressed me! I’m so excited about this yummy tasty recipe my friends! TIP: My husband is a huge fan of “chocolate flakes” in his ice cream more than big chunks of chocolate. So I chopped my chocolate chips in a mini food processor. You can chop them by hand if you prefer! It can be a little tricky, but it is possible. In your food processor add 1/2 cup of semi-sweet chocolate chips. Process for 10-15 seconds until chips are finely chopped. In the bowl of your stand mixer add 2 cups of cold heavy whipping cream. Using the wire whisk beat just short of stiff peaks forming! About 2 minutes. 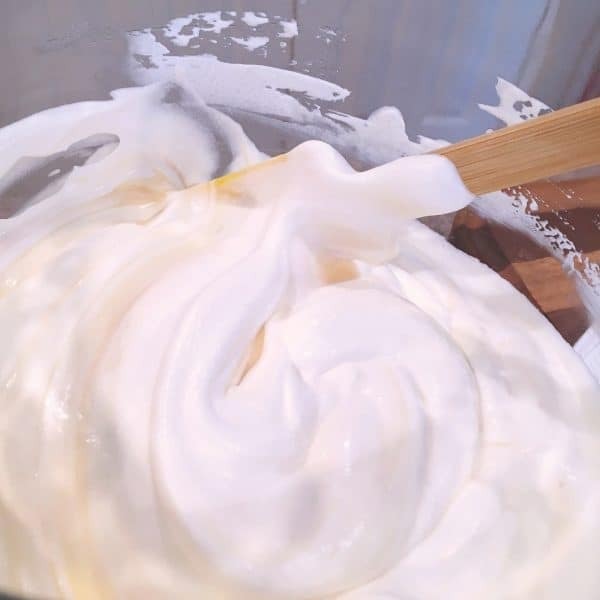 This step can be a little tricky, so just watch the mixer and when you have a nice thick whipped cream that holds a pattern, but doesn’t have super stiff peaks you know you are good to go! Add 4 Tablespoons of Maraschino Cherry Juice, 3/4 cup of chopped cherries, chocolate chips, and 2 tsp of vanilla and a pinch of salt. Fold until well blended. TIP: If you are not a fan of cherries or chocolate chips, we can get you help! No, seriously…this is where you can add in your own mix-ins! Please note I am an Amazon Affiliate and this post does contain affiliate links. Please read my Disclaimer page for more information. Pour into a parchment lined chilled bread pan OR a special Ice Cream container like the one pictured below. 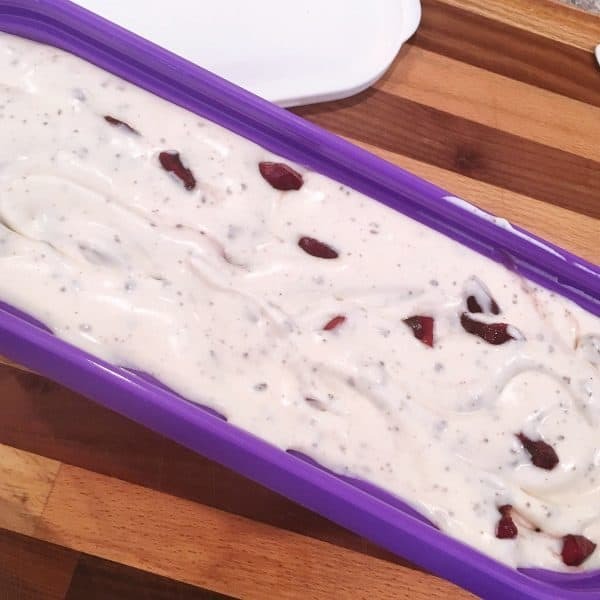 You can click HERE to find the SUMO 1.5 Quart Capacity Ice Cream container I used. I absolutely LOVE it! It runs about $14.99 and comes with an easy to remove lid. Such a great product. Chill for 2 hours until the consistency of soft serve ice cream. 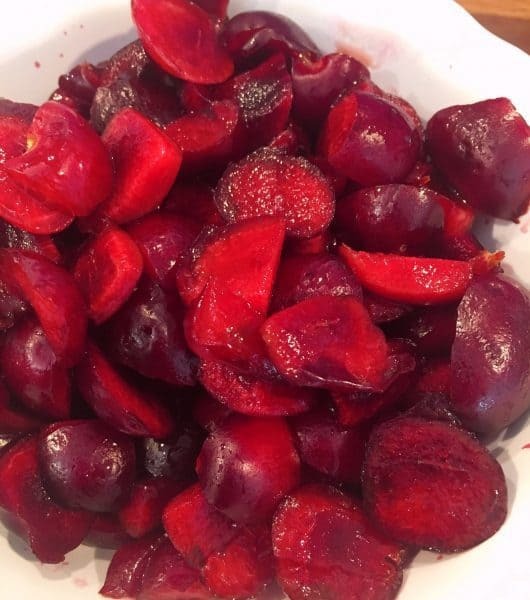 Add in remaining cherries with a spoon. Why? Because we cherries on top too. 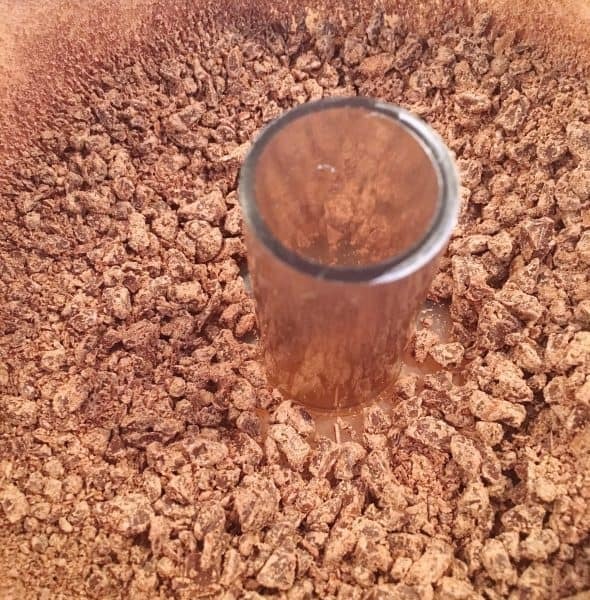 It just looks pretty and makes for more evenly dispersed mix-ins per scoop. Cover with lid or Saran wrap and place in freezer for another 3 hours or overnight. Scoop and serve on top of your favorite ice cream cones or in bowls. 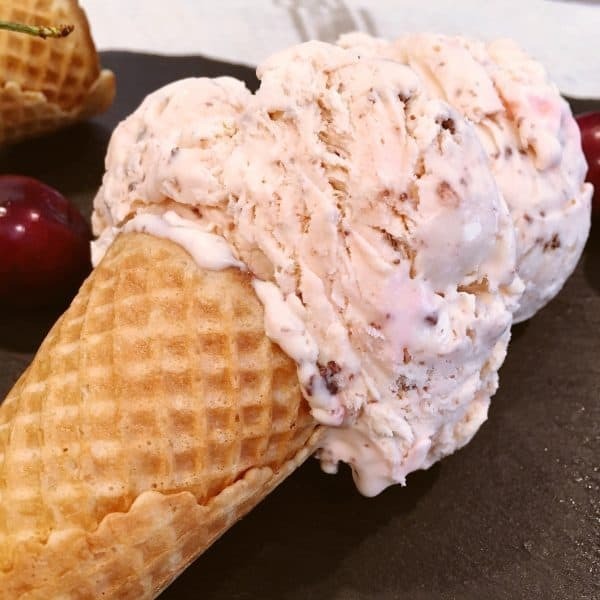 The subtle cherry flavor with the chunks of cherries and the yummy chocolate chips is the perfect flavor combination. Move over Ben & Jerry’s there’s a new kid in town! The mix-in possibilities are endless! You could fold in just about anything…a chopped up piece of peach pie! Mint Chocolate Chip. Raspberry Cheesecake! Oh My! I think this No-Churn Ice Cream Recipe may have created a monster! Now if I’m being a 100% honest…this is not an inexpensive alternative to store-bought Ice Cream. In fact it is probably more costly. However, you know exactly what is going into your ice cream and it’s really fun make. 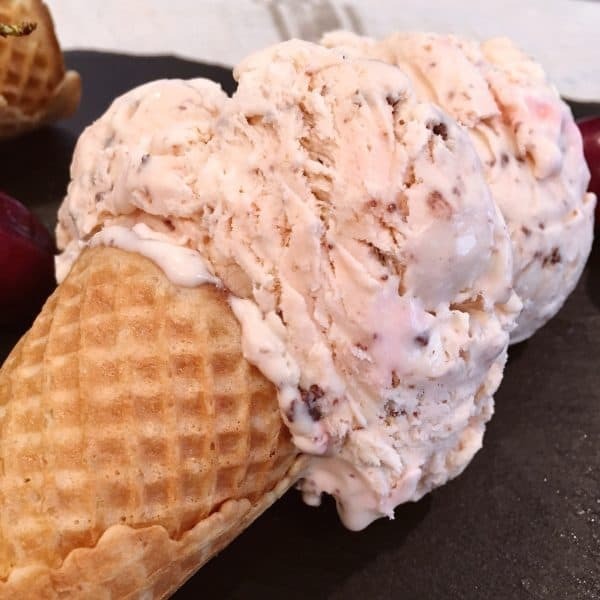 What could be better than a couple of heaping scoops of your own homemade ice cream? I can’t think of much! Especially in this summer heat! Enjoy my friends! 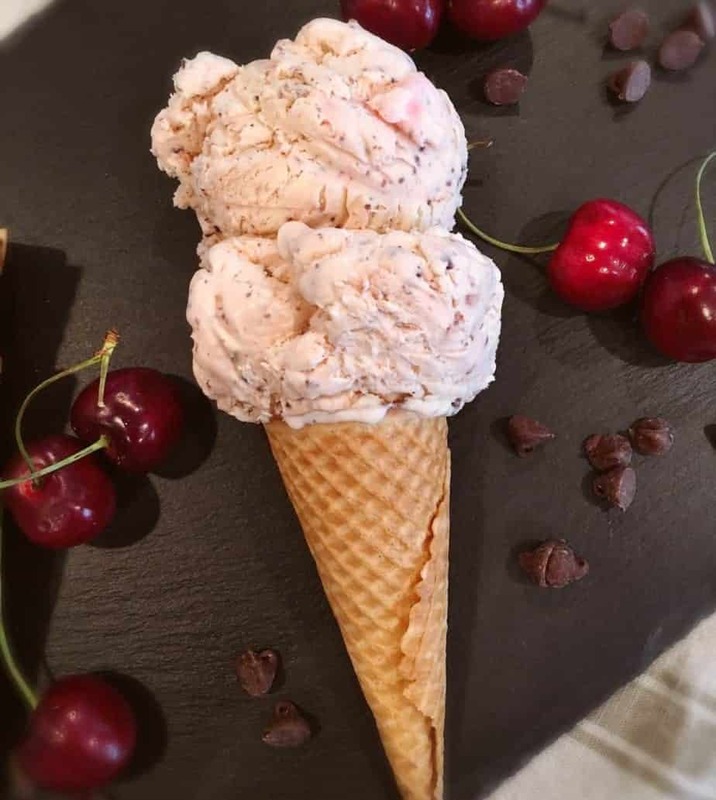 I really hope you’ll give this rich homemade No-Churn Cherry Chocolate Chip Ice Cream recipe a try. I’m sharing this cool refreshing treat over on the Weekend Potluck. Click HERE to join the party! Thanks for stopping by my Nest! 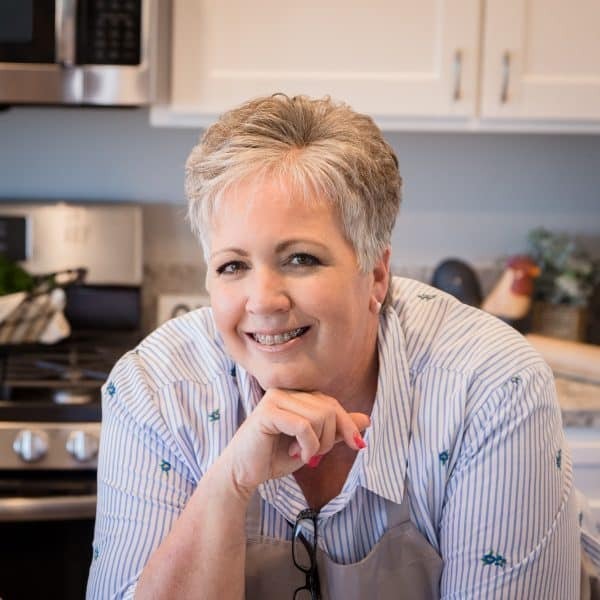 Remember you can always follow me on Facebook, Pinterest, and Instagram. 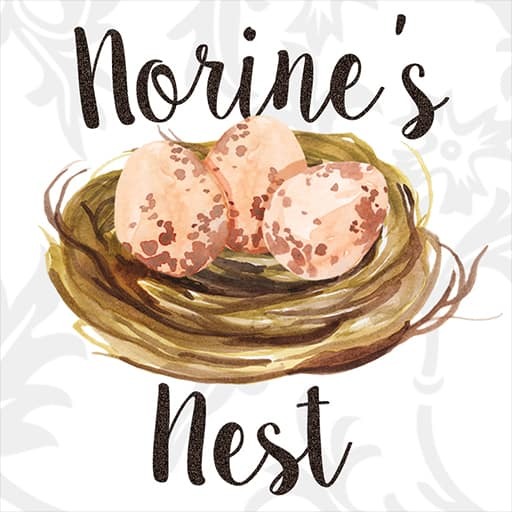 Sharing this delicious recipe over on Meal Plan Monday. 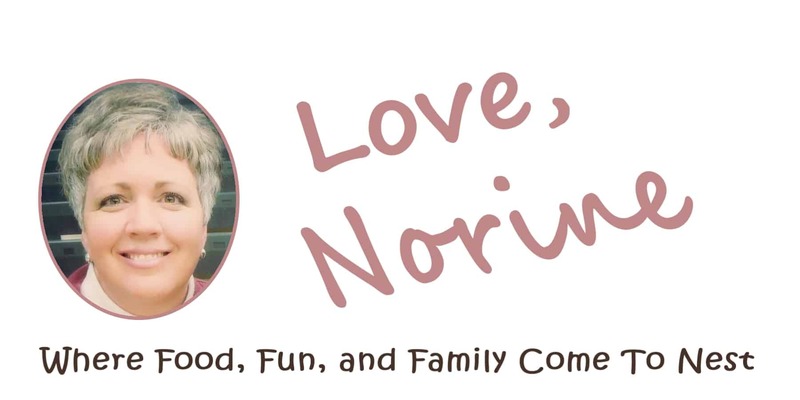 Click HERE to join all the fun! No special equipment is needed to make this super rich and creamy No-Churn Cherry Chocolate Chip Ice Cream. Not a fan of cherry? Add your own mix-ins and create your own custom flavor! 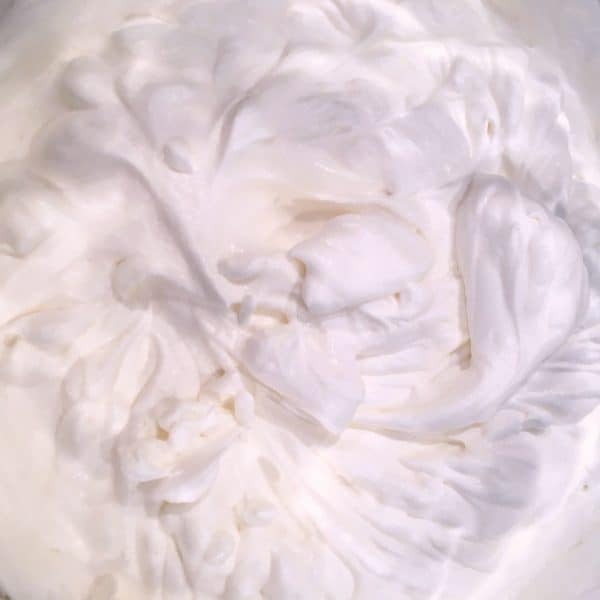 In the mixing bowl of your mixer add 2 cups cold heavy whipping cream. 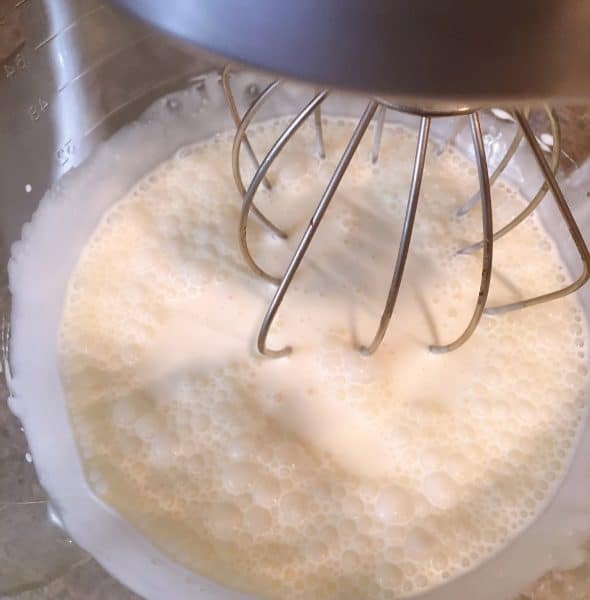 Whip the cream on medium-high speed with the "Whisk" attachment, about 2 minutes, just until semi-firm speaks form. Fold in the sweetened condensed milk, pinch of salt, and vanilla until well blended. Gently fold in 3/4 a cup of the cherries and the chopped chocolate chips. 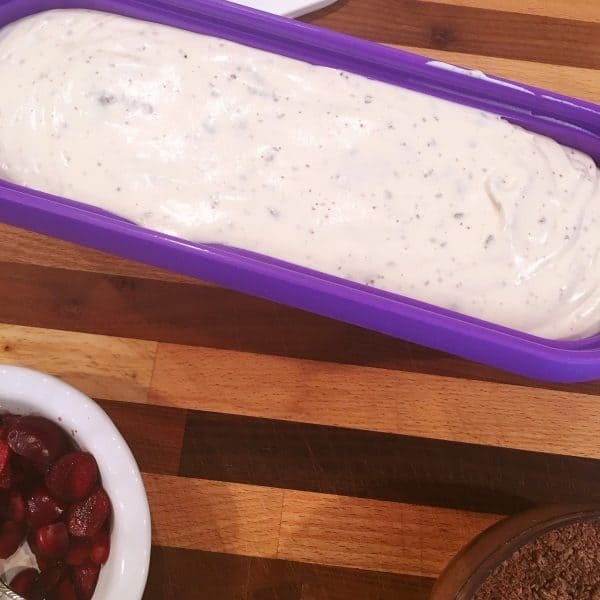 Pour into a chilled 9-by-5-by-3-inch metal loaf pan lined with parchment paper, or a SUMO Ice Cream Container, and freeze, covered, until thick and creamy, like soft-serve, about 2 hours. 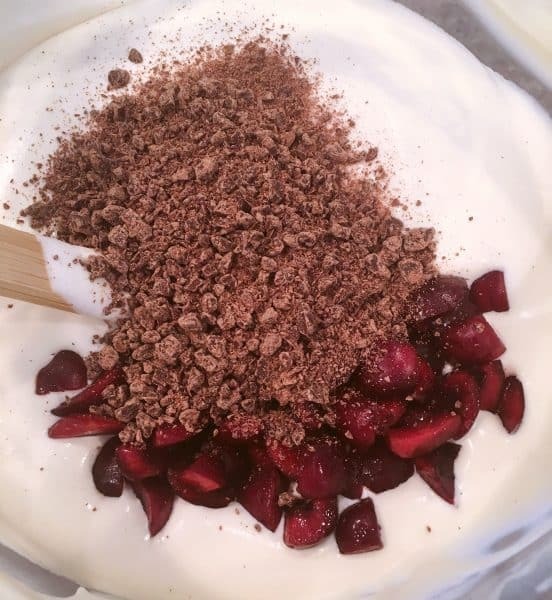 Swirl in remaining cherries or other any desired mix-ins with a spoon.